We're in the middle of November, the heart of Picture Book Month, and what better way to celebrate than a DOUBLE author illustrator interview?! (That means we had an author- illustrator interview an author and an illustrator.) 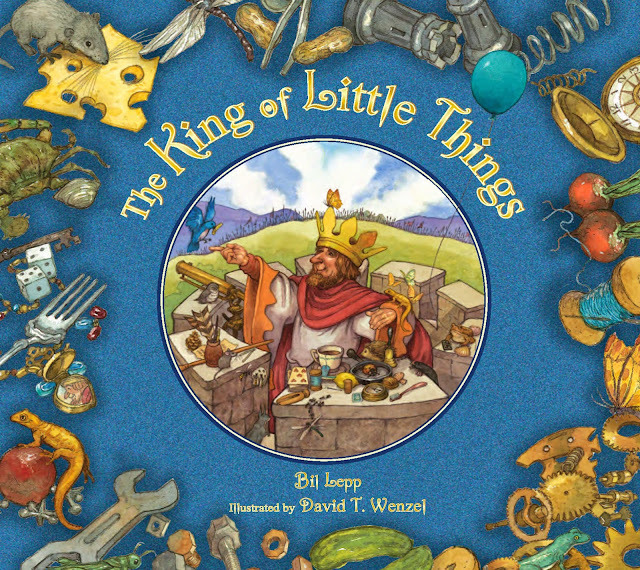 In celebration of Bil Lepp receiving the 2014 PEN/Steven Kroll Award for Picture Book Writing for The King of Little Things, our friend and fellow children's book writer and illustrator Elizabeth O. Dulemba interviews both Bil and illustrator David T. Wenzel. Elizabeth is certainly an authority on the subject of picture books being one of the co-founders for Picture Book Month, with experience as art director, Associate Professor of Picture Book Design, Board Member of the Georgia Center for the Book, kidlit blogger, and Illustrator Coordinator for the Society of Children's Book Writers and Illustrators, Southern Breeze region. She has sussed out the story within the story of this interview. 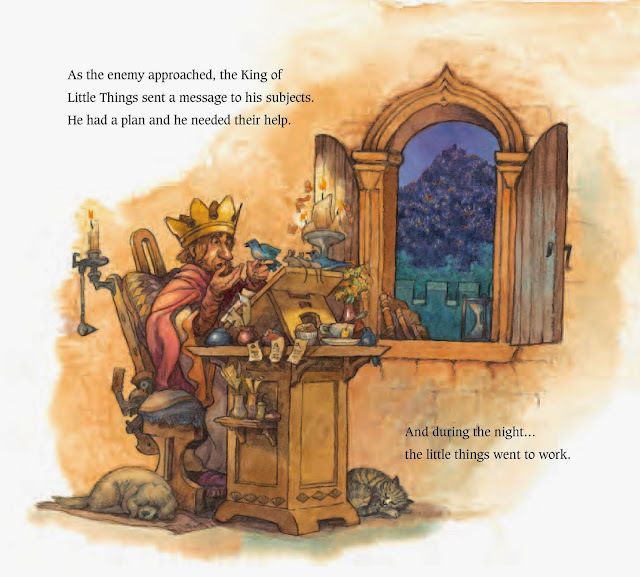 Here is a storyteller who transformed his oral tale to fit into 32 illustrated pages, who learned to trust the (sometimes laborious) publishing process, and with some some help from art was able to see his story in a whole new way. Behold the power of picture books! Read the interview on Elizabeth's blog here.